Mr. Sieving is Lead Trial Counsel and Managing Attorney at The Sieving Law Firm. Mr. Sieving was admitted to the State Bar of California in 1988. He is admitted to practice law in all courts of the State of California, the United States District Courts for the Northern and Eastern Districts of California, and the United States Court of Appeals for the Ninth Circuit. He is regularly admitted pro hac vice in other jurisdictions across the United States. Mr. Sieving is a member of the Sacramento County Bar Association, the Los Angeles County Bar Association, DRI – The Voice of the Defense Bar and the Association of Defense Counsel of Northern California. Mr. Sieving received his Bachelor of Science degree in Political Science and Philosophy from Missouri State University. He studied law at the University of the Pacific, McGeorge School of Law, and the University of Northern California School of Law. During law school, Mr. Sieving served as a Law Clerk for the Honorable James L. Stevens, Jr. (Ret.) of the Yolo County Superior Court. Mr. Sieving utilizes his thirty years of civil trial experience to provide exceptional legal representation for the firm’s clients. 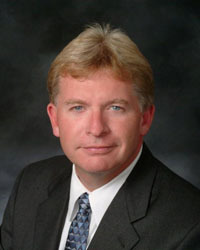 He currently serves as National Trial Counsel for a global manufacturing company and has acted as Lead Trial Counsel in complex multi-party and cross-border civil lawsuits, including class action litigation, in California, Florida, Colorado, Montana, Louisiana, Alabama, Mississippi, Oregon, Illinois, Texas, the United Kingdom and elsewhere. Mr. Sieving has represented clients in complex litigation matters throughout the United States including construction defect litigation, product liability claims, insurance coverage disputes, personal injury and wrongful death lawsuits. Successfully resolved a series of commercial lawsuits which resulted in a confidential “eight figure” recovery to his client from a component part manufacturer (U.S. District Court, Southern District of Florida). Aggressively litigated Federal Court product defect action resulting in verdict in favor of his client in excess of $2 million from a plumbing component manufacturer (Benson Tower Condominium Owners Assn. v. Victaulic Company, et al., U.S. District Court, District of Oregon, Portland Division, Case No. 3:13-cv-01010-SI). Obtained confidential multi-million dollar settlement from Fortune 500 Energy Company after flooding of client’s property (Klamath County Circuit Court, Oregon). Successfully resolved suit against building product manufacturer involving high exposure water intrusion claim at luxury resort and spa (ADCO Construction Defect Cases, Santa Barbara County Superior Court, Coordination Proceedings No. CORD 4327). Obtained a defense verdict for product manufacturer after jury trial of Product Liability and Montana Consumer Protection Act claims. On appeal, verdict was upheld by Montana Supreme Court (Tripp v. JELD-WEN, inc., Montana Fourth Judicial District Court, Missoula County, Case No. CV-97-84690). Obtained pretrial dismissal of companion class action lawsuits in Federal Court prior to class certification (David E. Hosler v. JELD-WEN, inc., U.S. District Court, Eastern District of Pennsylvania, Case No. 5:10-cv-03966-LS and Penns Crossing Builders III, LLC, et al. v. JELD-WEN, inc., U.S. District Court, Eastern District of Pennsylvania, Case No. 5:10-cv-03967-LS). Earned defense award and counterclaim damages after binding arbitration initiated by vendor/manufacturer against client on breach of contract claim (Grenzebach Corporation v. JELD-WEN, inc., American Arbitration Association, Case No. AAA Case Number 71 181 00593 06, Dallas, Texas). Achieved favorable confidential settlement against one of the largest U.S. brokerage firms for breach of fiduciary duties to client (U.S. District Court, Western District of Washington, Seattle Division). Negotiated $1 million confidential settlement from Resort operator for breach of a marketing agreement (Marion County Circuit Court, Oregon). Prevailed in a bench trial on a construction defect lawsuit filed by an Oakland, California homeowner (Sabhlok v. Pozzi, Alameda County Superior Court, Case No. BCV0071191). Successfully obtained dismissal of a California class action lawsuit claiming that the composite wood siding was deteriorating, warping and separating (Hand v. Advanced Wood Resources, Ventura County Superior Court, Case No. CIV 237992). Achieved favorable settlement against law enforcement agency in wrongful death/civil rights violation claim filed on behalf of surviving children of decedent (Ganas v. City of West Sacramento, Yolo County Superior Court). Procured confidential monetary settlement for defective manufacturing equipment under breach of warranty claim against equipment manufacturer (U.S. District Court, District of Oregon). On eve of trial, obtained dismissal of wrongful employment termination case against an air/water balance engineering firm (Dart v. Raglen Systems Balance, Inc., Contra Costa County Superior Court, Case No. CIVMSC93-02693). Mr. Sieving established The Sieving Law Firm, A.P.C. in 2007. From 1993 to 2007, he was a named partner in three prominent Sacramento law firms. Mr. Sieving's personal interests include flying, boating, scuba diving and ice hockey. He is a Private Pilot (ASEL) and has been a PADI certified scuba diver since 1979.